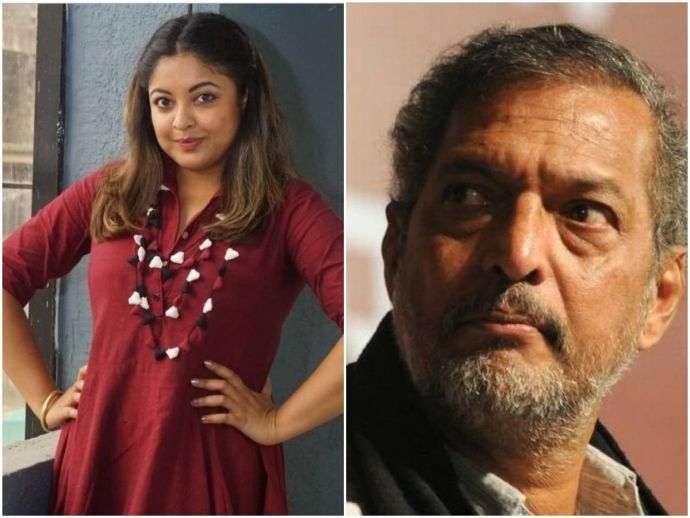 Nana Patekar allegedly misbehaved with Tanushree on the sets of 'Horn Ok Pleassss'. Former Miss India and actress Tanushree Dutta, popularly known for films like 'Ashiq Banaya Aapne' and 'Dhol' is in news again! Tanushree recently claimed that veteran actor Nana Patekar assaulted her during the shooting of her 2008 film ‘Horn Ok Pleassss’. In an interview to Zoom TV, she revealed that she was pushed and intimidated by Nana Patekar on the sets of the film. She also claimed that even though the industry insiders knew about Nana Patekar ’s indecent behaviour towards actresses, no one ever spoke about it. "Everyone knows about Nana Patekar that he has always been disrespectful towards women. People in the industry know about his background... that he has beaten actresses, he has molested them, his behaviour with women has always been crude but no publication has printed anything about it," she told Zoom TV. In a report published in NDTV, the actress claimed that the #MeToo movement won’t reach India until everyone acknowledges what happened with her a decade ago. Taking the names of Akshay Kumar and Rajnikanth, Tanushree said that there's no hope for a better work environment if A-listers do not boycott actors like Nana Patekar. "Akshay Kumar has made few films with Nana Patekar in last eight years and Rajinikanth also recently worked with him (in Kaala)... If such big stars will keep working with these culprits then there's no hope for any movement to happen," she said. "Everyone has gossiped about this but they've never spoken. People with this kind of character speak like this against the kind of character that I have because they say she does glamourous roles so must be glamorous and all. Behind the back, they are so dirty. When you are in the industry you hear so many stories about these actors. But these things never take surface because they are PR packaged very well. They will give some money to some poor farmers. How much they do and how much they don't know, no one knows. But all this is just for show," she added.